2018 New upgrade version, super mini size, don’t take up space, convenient to carry. 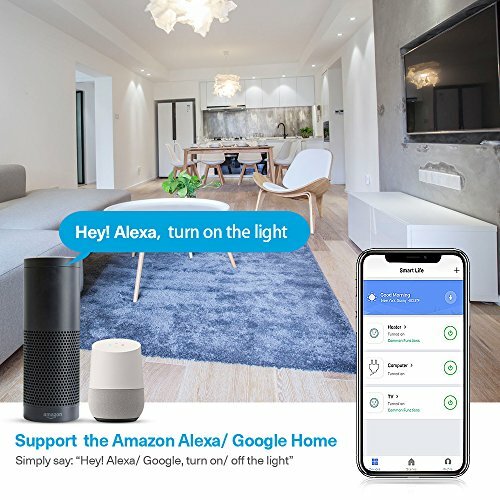 Compatible with Alexa Echo and Google Voice Control, making controlling your home truly easy. No Amazon Alexa Echo? -No Problem! 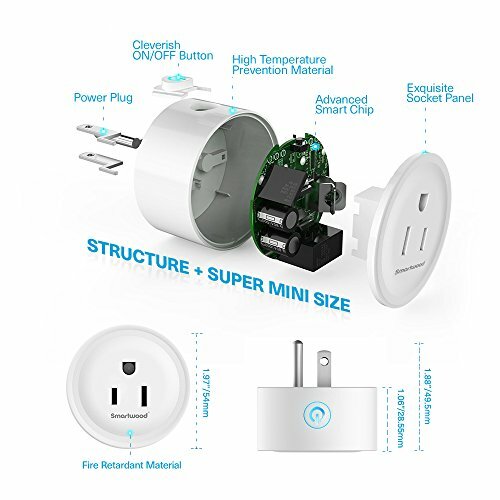 This smart plug will work with your smartphone. Just download the FREE APP and you can control your devices on APP. 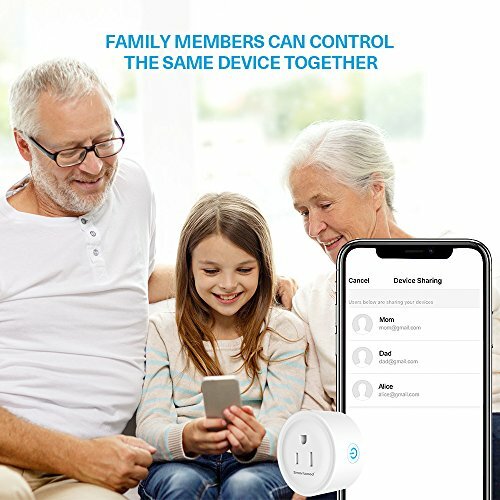 The connection was secure throughout the house, including the basement, as long as it connected to your home WIFI. Manage your home, even in the distance. You just need to connect to the internet. Can set schedules to automatically power on or off your home electronics and appliances at any time. Can limit your children’s computer time with the timer function. Please check if there is damage caused by transportation. if yes, please contact us for replacement timely. Plug in fully to the socket while using. The total power of being electrically connected appliances couldn’t be bigger than the maximum power of the socket. 1.ONE TO ALL: No matter what electrical appliance, one smartphone can complete control. 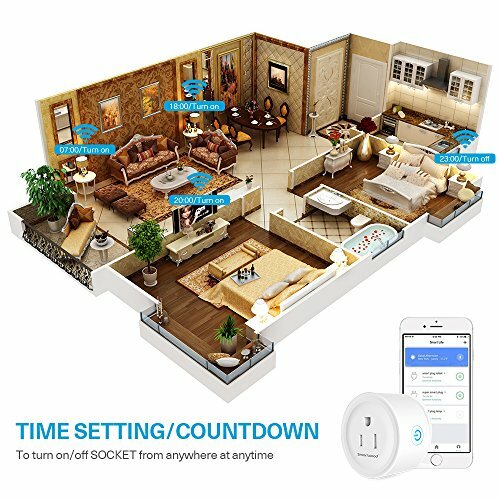 Mobile APP could control the ON/OFF status of the socket on the basis of both mobile and socket connecting internet. 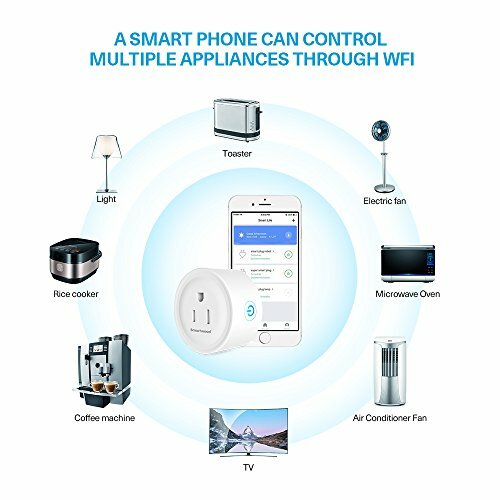 2.EASY TO USE: Only need to plug a device into the Smart Plug, then follow our detailed instruction, and connect to your Wi-Fi network. 3.LONG-RANGE CONTROL: Remotely turn appliances and electronics on or off from anywhere at any time. At home or when you go out, use Wi-Fi and mobile Networks to operate. Perfect for Household Appliances Lamps, Lighting & Electrical Equipment. 4.TIMING FUNCTION&COMPATIBILITY: Mobile APP could help you save power by scheduling your specific time to automatically switch on/off the devices. 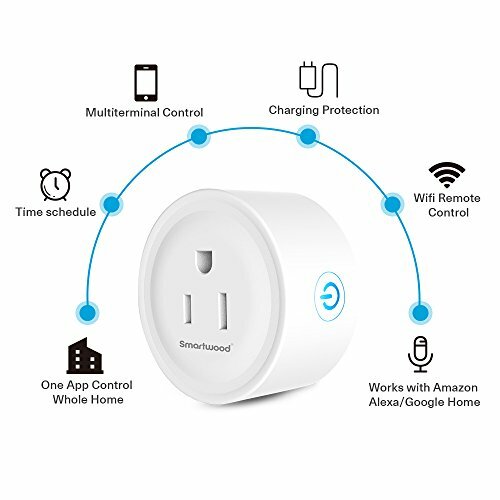 Smart Plug can be compatible with Amazon Alexa and Google Home to manage your devices through Voice Control. ⚠Please Note: SMARTWOOD products are copyrighted by DECADE LLC. We support a one-year full warranty. You can get a full refund or replacement if you receive any defective items in 30 days. Please contact us in time if you have any questions.